bbrave for Dublab: Super Soukous Mix! For almost 2 years now, we’ve been building a diverse roster of contemporary artists from all over Africa. From Malian traditional music to kuduro, highlife to salsa, Akwaaba has been covering much ground, yet one important piece has been missing: Congolese soukous. Perhaps the most significant genre across the entire continent during the 1970s and 1980s, and a style particularly dear to our ears. We’re in the process of fixing this, with an imminent release from Zaiko Langa Langa, soukous pioneers still touring to this day. But before that, bbrave serves us this here pungent mix of Congolese classics. The story goes like this: our friends over at Dublab asked bbrave to do a mix for them. Rather than stick to club territory, why not use Dublab’s incredibly diverse platform to indulge into something more personal? And less obvious? So we bring to you this mix. Not afrofunk, this is pure soukous: raunchy snares, melodic guitars, and frenzy tempos. The whole of Africa has danced to this, are you ready for it? 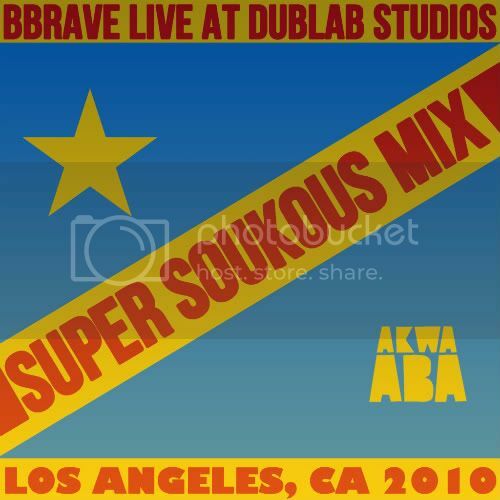 » Blog, culture, DRC, Free Stuff, Friends, Front Page, News, podcasts, Top News » bbrave for Dublab: Super Soukous Mix!